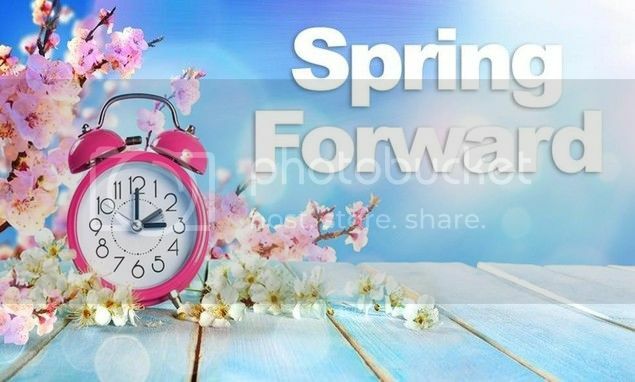 Remember to set your clocks ahead 1 hour before you go to bed Saturday March 9th. I'm not gonna like having to get going sooner, but having the sun still out when going home after work will be nice. I'm so ready for spring. It's been WAY to cold this winter. We are still waiting for sun and a little bit warmer days here. Guess we really like the heat now. Karen wrote: We are still waiting for sun and a little bit warmer days here. Guess we really like the heat now. Ha, ha ... yes it has been COLD in Arizona this March. Like Sharon’s hubby said...if I complain about the heat, slap me. Least favorite week of the year.